People: Trinidad and Tobago's people are mainly of African or East Indian descent. Virtually all speak English. Small percentages also speak Hindi, French patois, and several other dialects. Trinidad has two major cultural traditions: Creole and East Indian. Creole is a mixture of African elements with Spanish, French, and English colonial culture. Trinidad's East Indian culture came to the island with indentured servants brought to fill a labour shortage created by the emancipation of the African slaves in 1833. Most remained on the land, and they still dominate the agricultural sector, but many have become prominent in business and the professions. East Indians retain many traditions, including the celebration of Hindu and Muslim religious festivals. Currency: Trinidad and Tobago Dollar (TTD): 10.5 TTD to the UK pound (April 2011). Major Political Parties: United National Congress (UNC); People's National Movement (PNM); National Alliance for Reconstruction (NAR); Congress of the People (COP); Democratic National Alliance (DNA). Government: Trinidad and Tobago is a unitary state, with a parliamentary democracy modelled after that of the UK. -- Pitch Lake, in southwest Trinidad, is the world's largest natural reservoir of asphalt. The lake has occasionally yielded fossils of prehistoric animals. -- The highest point in Trinidad and Tobago is 'El Cerro del Aripo'. At about 940 metres it is located in Trinidad. -- The islands are home to more than 400 species of birds, 600 species of butterflies, 50 kinds of reptiles and 100 types of mammals, including red howler monkeys, anteaters, agouti and armadillos. Transhipment of illegal drugs, money-laundering and high levels of violent crime are all problems that Trinidad and Tobago faces. It also has a high level of domestic violence. The prison population is high. The death penalty remains on the statute books but the law now allows for different categories of murder, removing the automatic death sentence for murder. The last executions were held in 1999 but a number of prisoners remain on death row. Economically, Trinidad and Tobago is different from other Caribbean countries because of its significant oil and gas reserves. It is an important market for BP, BG, Centrica and BHP Biliton who have both made substantial investments in the country. The 2010/11 fiscal year ran a deficit of 2.9%of GDP. The Budget for 2011/12 is entitled “From Steady Foundation to Economic Transformation” featuring stimulus to the energy sector, and economic diversification into renewable and pricate sector initiatives. A focus on public sector investment also contributes to a budget which predicts a 5% GDP deficit ($7.6 Bn US). This will be the third consecutive budget deficit for Trinidad & Tobago. Regional credit rating agency CARICRIS estimate growth in Trinidad andTobago to be between 1-2% for 2011. The energy sector continues to expand with growth in production, exports and exploration, and Foreign Direct Investment (FDI) in the expansion of the Atlantic LNG facility. With new operational facilities shoring up export capacity, and new investment supporting construction activity, real GDP growth is expected to continue. In an attempt to provide incentives for new oil and gas exploration, the government has revised oil and natural-gas production sharing contracts (PSCs), allowing for consolidation of profits and losses in certain deep-water areas and reduces overall tax payments. At current extraction rates, gas reserves will be empty by 2019. Whilst oil and gas keep the economy strong, the government is aware of its high dependence on earnings from the energy sector and is encouraging diversification into the non-energy sector. Bilateral relations are in excellent shape, consolidated by a steady stream of high-level visits. Jeremy Browne MP, Minister of State for the FCO, met with Trinidad and Tobago Foreign Minister, Dr. Surujrattan Rambachan during the UK-Caribbean Ministerial Forum held in Grenada in 2012. Her Majesty The Queen and His Royal Highness The Duke of Edinburgh for the Commonwealth Heads of Government Meeting (CHOGM), and State visit in November 2009. The Prime Minister and Foreign Secretary in November 2009 for the CHOGM. Trinidad and Tobago participated in the UK-Caribbean Ministerial Forum which was held in London in July 2008. Trinidad and Tobago hosted the Fifth Summit of Americas and CHOGM in 2009. -- Imports to the UK amounted to £327.72 million in 2009. Imports for 2010 were £300.64 million. Trinidad and Tobago maintains close relations with its Caribbean neighbours and major North American and European trading partners. As the most industrialised and second-largest country in the English-speaking Caribbean, Trinidad and Tobago takes a leading role in the Caribbean Community and Common Market (CARICOM), and supports CARICOM economic integration efforts. It is also active in the Summit of the Americas process and supports the establishment of the Free Trade Area of the Americas (FTAA). 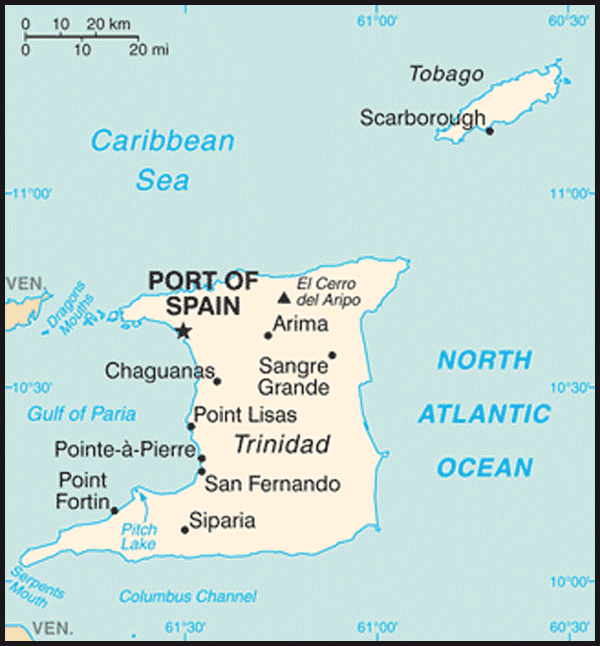 Trinidad & Tobago was one of the first CARICOM states to formally enter into the Caribbean Single Market and Economy (CSME) in January 2006. After independence in 1962, Trinidad joined the UN and the Commonwealth. In 1967, it became the first Commonwealth country to join the Organisation of American States (OAS). In 1995, Trinidad played host to the inaugural meeting of the Association of Caribbean States (ACS) and has become the seat of this 35-member grouping, which seeks to further economic progress and integration among its states. The last elections were held in May 2010, and won by the People’s Partnership, a coalition consisting of five parties - the United National Congress (http://en.wikipedia.org/wiki/United_National_Congress) , the Congress of the People (http://en.wikipedia.org/wiki/Congress_of_the_People_(Trinidad_and_Tobago)) , the Tobago Organization of the People (http://en.wikipedia.org/wiki/Tobago_Organization_of_the_People) , the National Joint Action Committee (http://en.wikipedia.org/wiki/National_Joint_Action_Committee) and the Movement for Social Justice. The voter turn-out was 69% - 3% higher than the last elections in 2007. PM Kamla Persad-Bissessar was sworn in on 26 May 2010 - the country’s first female leader. From 1962 until 1976, Trinidad and Tobago, although completely independent, acknowledged the British monarch as their head of state. In 1976, the country adopted a republican constitution, replacing Queen Elizabeth with a president elected by parliament. 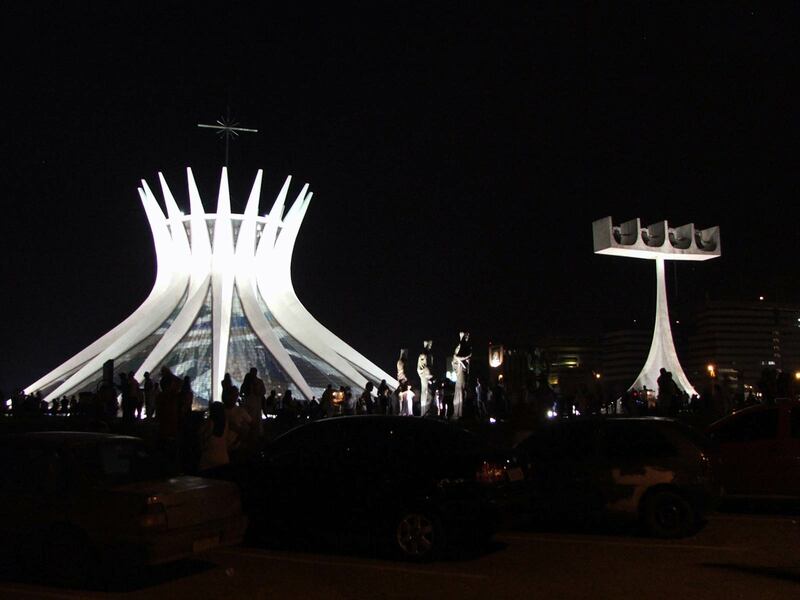 The general direction and control of the government rests with the cabinet, led by a Prime Minister and answerable to the bicameral parliament. The 36 members of the House of Representatives are elected to terms of at least five years. Elections may be called earlier by the President at the request of the Prime Minister or after a vote of no confidence in the House of Representatives. The President from among outstanding members of the community appoints the Senate's 31 members. Professor George Maxwell Richards was voted in as President by the Electoral College for a second consecutive five year term in March 2008. Elected councils administer Trinidad's seven counties and four largest cities. The country's highest court is the Court of Appeal, whose Chief Justice is appointed by the president on the advice of the Prime Minister. Final appeal on some matters is decided by the Judicial Committee of the Privy Council in London. Trinidad and Tobago house the Caribbean Court of Justice, which was established to act as a court that can handle trade disputes amongst CARICOM member states (Original Jurisdiction), and that will eventually serve as a supreme appellate court to replace the Judicial Committee of the Privy Council in London (Final Appellate Court). The court's jurisdiction is currently limited to only Barbados and Guyana. Tobago was given a measure of self-government in 1980 and is administered by the Tobago House of Assembly. 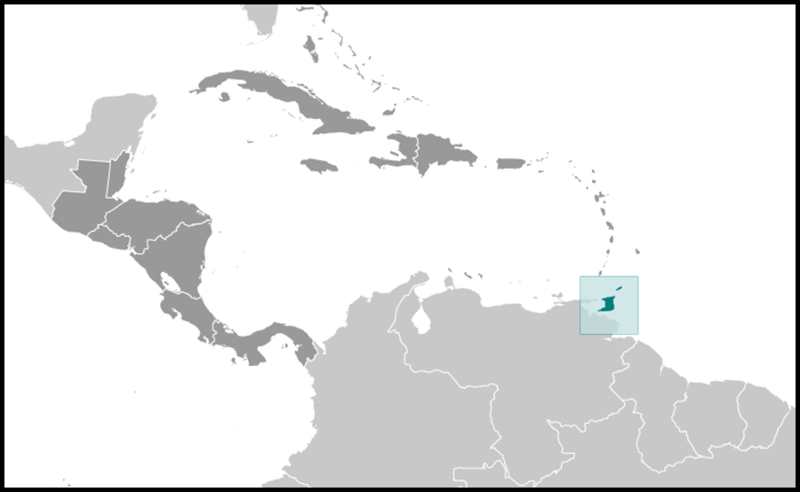 In 1996, Trinidad and Tobago's Parliament passed further legislation giving Tobago a greater degree of autonomy.